Koziatek Contracting is the premier commercial roofing company in our local area with more than 25 years of experience in the industry. Today, we will explain why investing in a commercial maintenance program is a good idea. Roof maintenance can save you money, improve your roof’s life span and help protect your building. Preventing Structural Damage – Undetected roof leaks will eventually lead to rusting steel and deteriorating materials that can compromise your building’s structural integrity. Fixing this damage is a major investment. A regular and proactive maintenance plan will detect small problems and repair them before they become roof leaks. 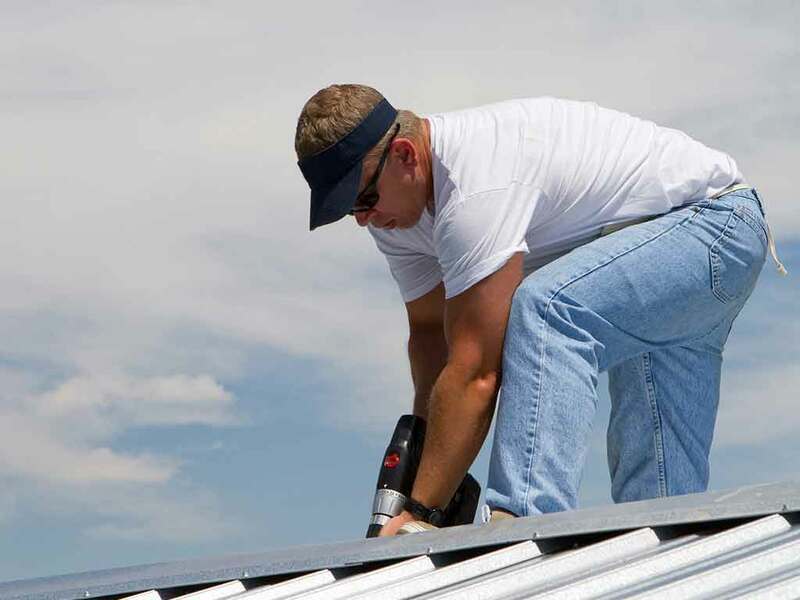 This can greatly reduce the risk of costly roof repairs. Increasing Time Between Replacements – The costs of replacing or re-covering your roof every 5-10 years adds up. Fortunately, as an experienced commercial roofing company, we can make your roof last. A roof that is regularly inspected and maintained can protect your building for many decades and maximize the time between roof replacements. Protecting Your Building’s Interior – Waiting until there’s a noticeable problem with your roof is a risky proposition because the contents of your building are often worth more than the roof itself. For example, leaking water can drip onto a computer and damage it, wiping out valuable data. Keep the interior safe and dry with regular maintenance. Improving Safety – In some situations, it would not be feasible to close down your commercial building to have your roof fixed. The usual solution to this problem is to leave out trash cans to catch the drips. However, these trash cans can clog the hallways. Missed drips can also cause the hallways to become slippery, leading to a safety hazard. Prevent this by actively maintaining your roof. Koziatek Contracting is the leading choice for commercial and residential roofing in our area. We use only the best materials for our customers and we go the extra mile to ensure that your roof will last as long as possible. Call us at (314) 837-8262 to learn more about the benefits of commercial roof maintenance. You can also get a free quote. We serve many areas, including St. Louis, MO.